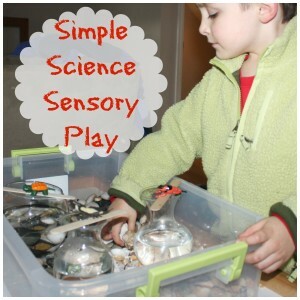 Sensory play can take so many forms! 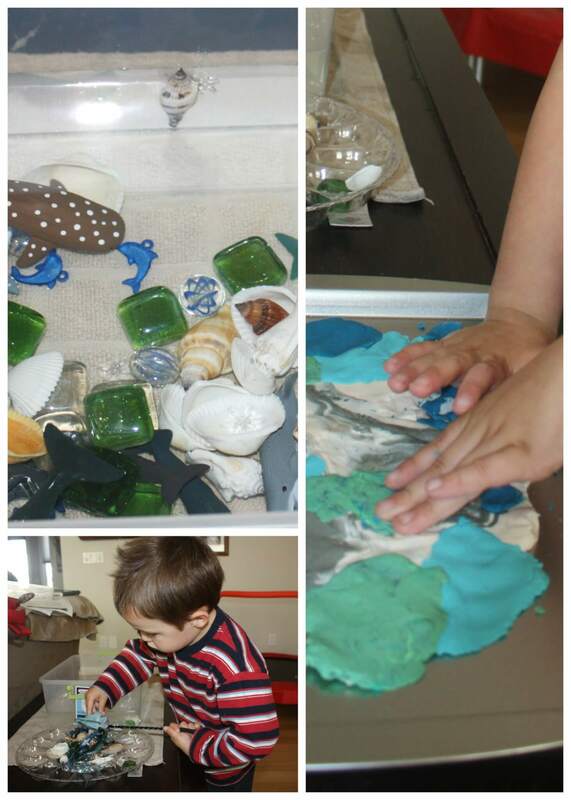 This activity with water play and play dough took on a life of its own! 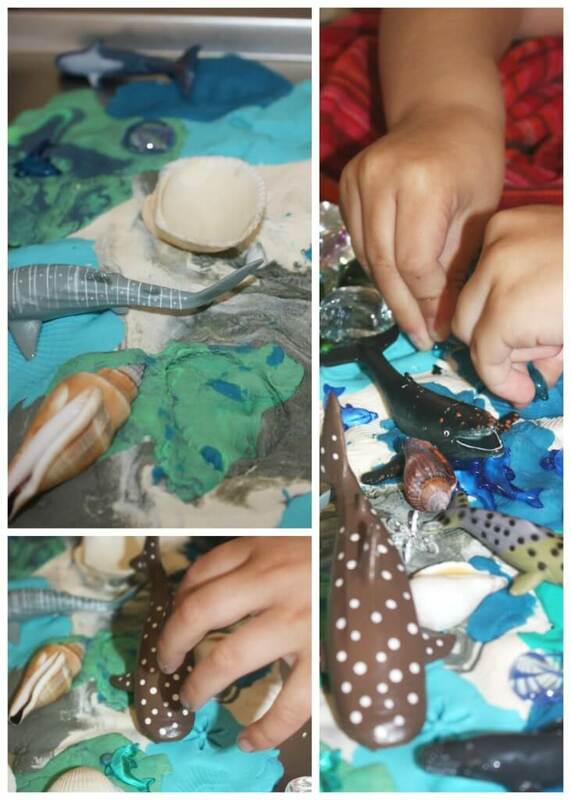 Our simple ocean sensory bin included whales, shells, and gems in preparation of our upcoming vacation to the ocean! 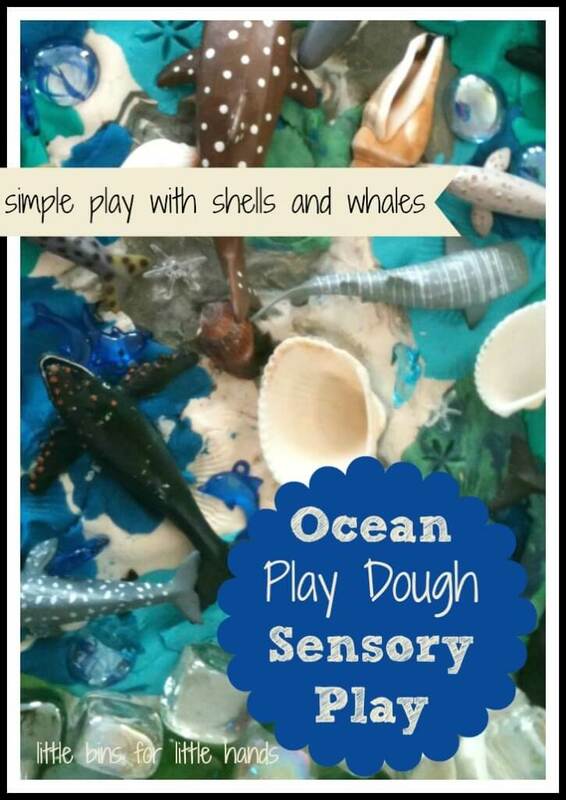 It took quite the twist when we brought out the play dough and made our own beautiful ocean. 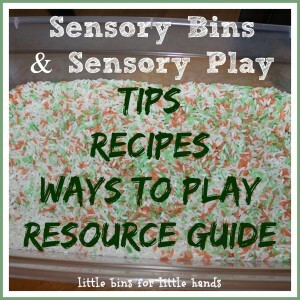 Great hands on learning and fine motor play all wrapped up in a sensory experience! After our first successful but spontaneous experience with whales and water play as well a picture book and painting activity the day before (post here), I was curious to see what he would be interested in today. 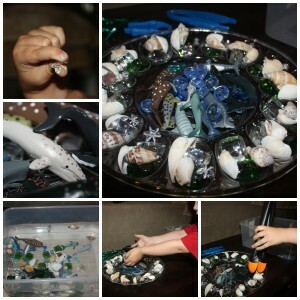 I hadn’t put out a new activity yet and the egg tray full of ocean items and empty bin were still out. He asked me to fill the bucket again with water so that he could put the items back into the “ocean”. I thought this was a great start to engaging in play. I decide while he was still fishing around in his “ocean with the aquarium net that I would show him what the shells looked like pressed into play dough. I love the dollar store cookie sheets. 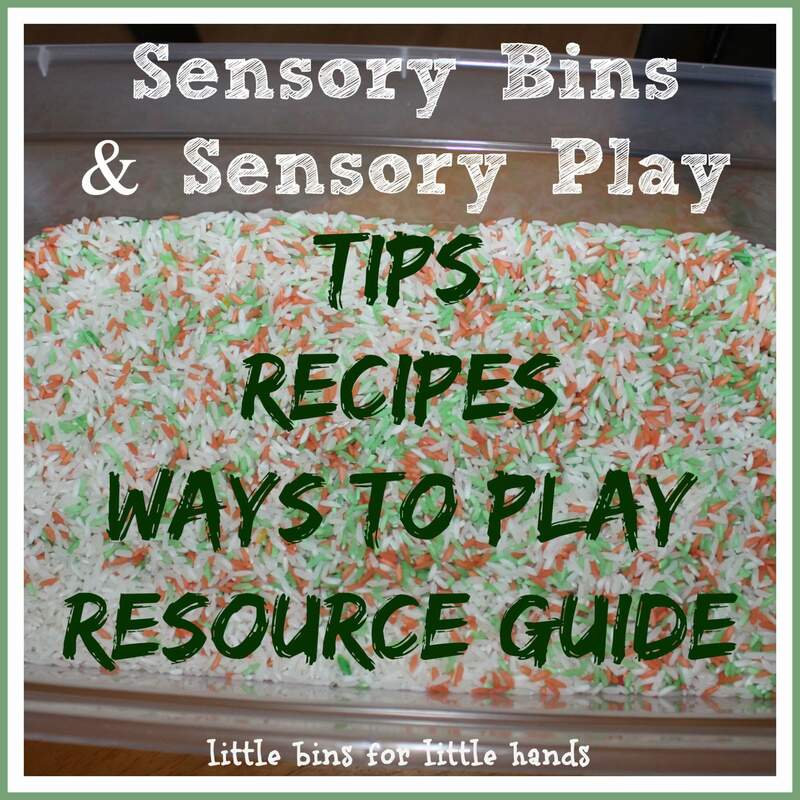 Not great for actually baking but great for using as trays for all sorts of activities! I gathered some different ocean colored play dough and started smooshing it out. I told him I was making an ocean and he wanted to help. I have to think quick to keep him going and not waver in my choices! Sadly, I love homemade dough but he does not. We smooshed the colors together and he indicated he wanted to cover most of the tray so I dug out some more colors. We decided to fish everything out of the bin and I showed him how to dry it off and press the shells into the pay-doh and roll it slightly to see the pattern it created. He wanted to keep going and press everything into the dough, make a beach, and then a dam. I just let him roll with it and follow his lead since he was engaging appropriately. 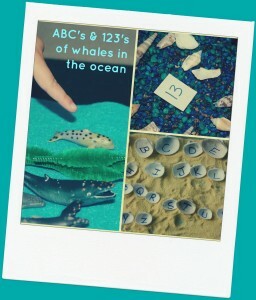 We studied the whales again and he asked to make a rock and a snail from the book we had read. Really, we had a great time with it! More Fun Ideas To Try! We have done tire tracks and animal footprints in play-doh, but haven’t tried shells yet. I’m thinking that would be great when we are on our trip to the beach! Those shell prints are awesome!! I think we’ll be doing that today!! Thanks for sharing this at Teach Me Tuesday at Preschool Powol Packets! !